The former Chairman of the House of Representatives Committee on Appropriations, Abdulmumin Jibrin, risks six months in jail, suspension or a fine of N200 if convicted of allegations of misconduct. Jibrin is currently being investigated by the House Committee on Ethics and Privileges for acts of misconduct following several public utterances considered to be targeted at bringing the leadership and members of the House to public ridicule. The Ethics Committee began hearing into the matter on Friday with a testimony from the sponsor of the motion that led to the hearing, Emmanuel Orker-Jev. Orker-Jev, in his testimony Jibrin’s utterances maligned and defamed the House, as well as incited members of the Nigerian public against the members. The lawmaker, had in his motion which was adopted by the House at plenary, accused Jibrin of several breaches of the privileges of the House of Representatives, members of the House, as well as provisions of the National Assembly Legislative Houses (powers and privileges) Act. Orker-Jev tendered printed evidence of reported statements, where Jibrin accused the House of Representatives of corruption. He cited some of Jibrin’s utterances as captured on the pages of newspapers to include: “As it stands today, these corrupt elements have infected the House, making the institution a hub of systemic corruption. This, he explained, is if the matter is handled by the Office of the Attorney-General but in the case of the House of Representatives, he could be suspended for six months. In response to a question on whether there was a precedence, he cited the case of a former member, Patrick Ogbahiagbon, whom he explained was pardoned by his colleagues after he apologised for making disparaging remarks about the House in the media. Earlier, the Chairman of the Committee, Ossai Ossai, promised that the committee would give all parties a fair hearing, noting that committee members were not out to intimidate anyone. However, Jibrin earlier gave conditions under which he would appear before the committee. According to him, he would only appear before the committee if civil society organisations, labour unions, student groups and members of the public are allowed to observe proceedings. 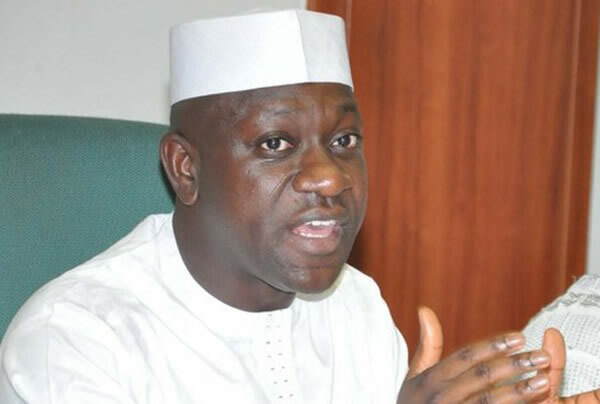 Jibrin had in a letter dated September 23, 2016, addressed to the committee Chairman, said he was surprised that instead of the committee addressing the allegations against the Speaker and those accused of corrupt practices, he was being put on trial. On allegations levelled against him, the former Appropriations Committee chairman said, “May I draw your attention to the fact that the privileges of the House and Members do not accord the former and latter immunity to being exposed if involved in corrupt practices and equally, exposing budget fraud and corruption does not amount to misconduct. Meanwhile, human rights activist, Femi Falana (SAN), has demanded the immediate suspension of the activities of the House of Representatives Committee on Ethics and Privileges which began hearing of an allegation against Jibrin, his client. Stating in a letter dated September 23, 2016, Falana said investigating Jibrin contradicts the standing orders of the House. In the personal letter Jibrin wrote to Dogara, he maintained that his allegations of corruption against the Speaker, Deputy Speaker, Yusuff Lasun, Whip Alhassan Doguwa and Minority Leader, Leo Ogor three other leaders of the House remain valid. He explained that he was in pain and deep agony as he watched the Speaker, whom he said had a soiled reputation presiding over the House on Wednesday.